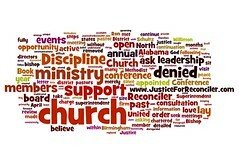 The motion we brought to the North Alabama Conference to refer this issue to Judicial Council won. 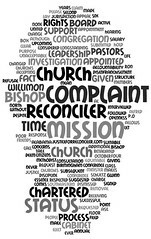 On February 3, 2012, members of Church of the Reconciler filed a complaint with Bishop Will Willimon about actions of District Superintendent Ron Schultz. The complaint was dismissed by Bishop Willimon on March 22, 2012. I make a motion that the ruling by Bishop Willimon which dismissed the church’s complaint against District Superintendent Ron Schultz (thereby exonerating him from his actions) be referred to the Judicial Council for review.